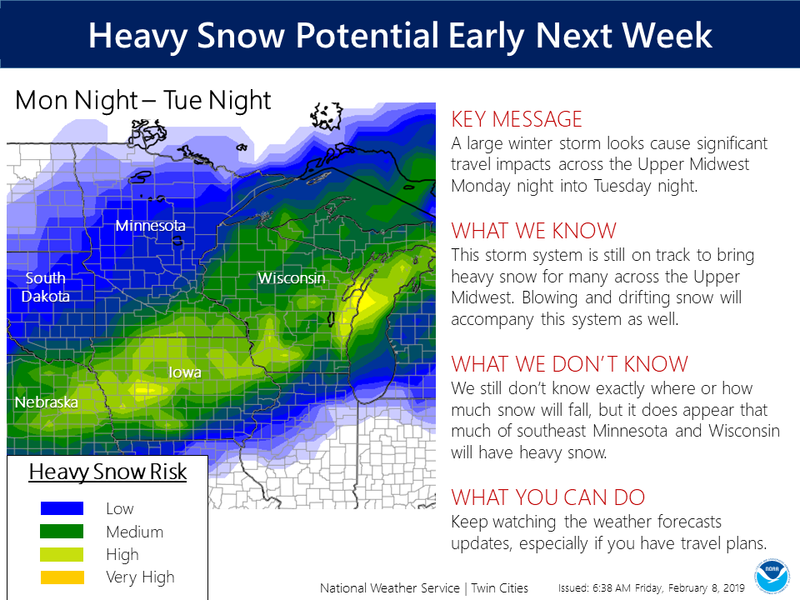 Another winter storm system is taking aim at the region for early next week. Certainty is high in precipitation occurring, with medium certainty on any finer details. A wintry mix of precipitation is expected to spread across Iowa late Monday and change over to all snow Monday night into Tuesday. 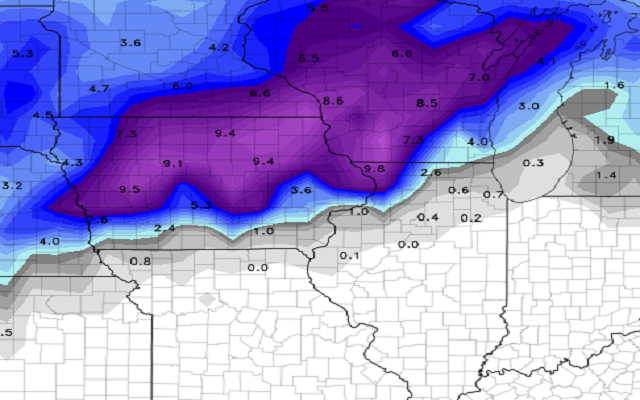 Light to moderate snow accumulations will be possible. Strong and gusty northwest winds are expected Tuesday into Tuesday night which could lead to considerable blowing snow through the day into Tuesday evening. Stay tuned for later updates on this potential winter storm into the weekend, especially if you have travel plans late Monday through Tuesday. Below are potential snow fall totals as of now, of course these are really early and the forecast can definitely change this weekend. Stay with Star 106 for the latest weather information.